The body uses blood vessel diameter as one way to help regulate blood pressure. 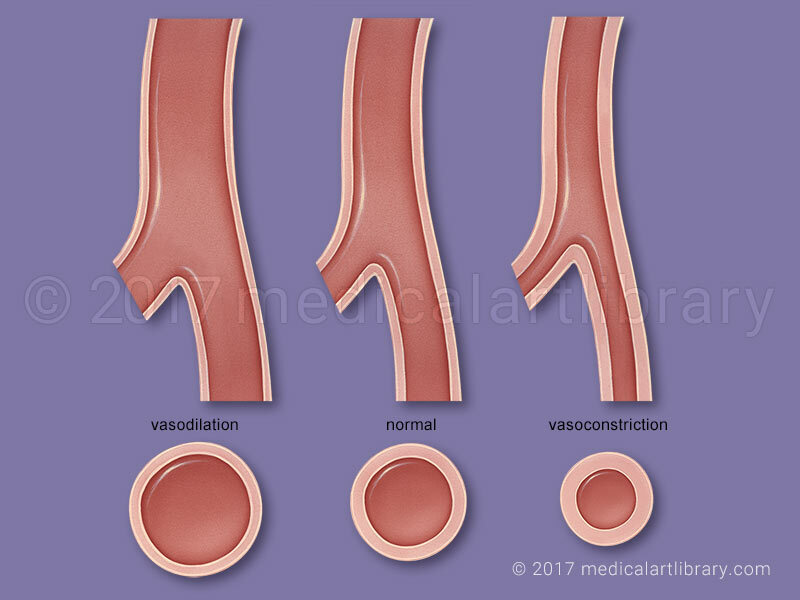 A normal blood vessel has some degree of smooth muscle contraction (or “tone”) that determines the diameter of the vessel. 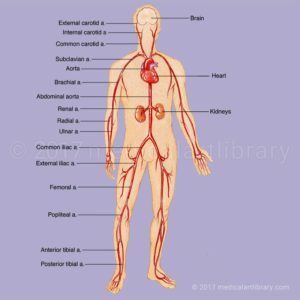 Nerves controlling the muscle fibers in the media and certain substances in the blood, can cause the vessel to contract (vasoconstriction) or to expand (vasodilation). When blood pressure is too high, blood vessels expand to allow more blood flow. This decreases systemic vascular resistance and lowers blood pressure. When blood pressure is low, vessels constrict to increase resistance and blood pressure. Healthy arterial walls stretch easily in response to blood pressure. 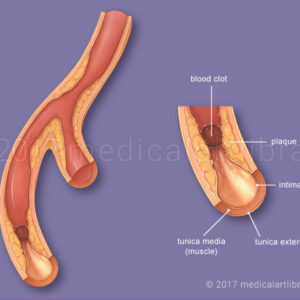 Arteries damaged by atherosclerosis become rigid, their walls are infiltrated by calcium, fatty and fibrous tissue which makes them less flexible. The lumen becomes narrowed, decreasing blood flow.